The town's name derives from the personal name of a Roman nobleman, Arrone, that in the IX century, had a castle built here in Valnerina. Municipality in the province of Terni, it is located near the Black River, not far from the Waterfalls of the Marmore and Lake Piedilucco, bordering with the territory of its provincial capital. The old town center still retains its medieval structure with fortified walls and narrow alleys. It is an ideal place for visitors looking for art, history and nature, for lovers of trekking, mountain biking routes and canoeing. Lovers of typical regional cuisine will appreciate the authenticity of local dishes and production of local delicatessen. The town's economy relies mainly on agricultural activities, such as the cultivation of olive trees. The area was an important settlement already during the Roman Ages, as evidenced by the presence of water mills and the ruins of pagan temples. 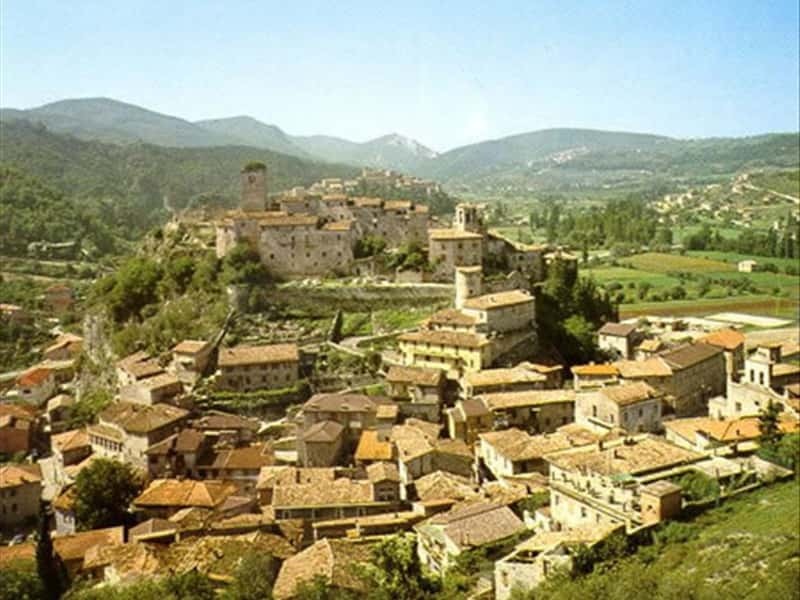 The town was built around a castle erected in the IX century and which developed and expanded in later periods. In the XIII century the city of Spoleto acquired the possession of the territories, that were repurchased by the residents of Arrone a few years later. Between the XVII and XVIII centuries, the local inhabitants stirred against the feudal system of Spoleto. At the end of the XVIII century, with the arrival of the troops of Napoleon, the town submitted looting and destruction. After the fall of the Empire of Napoleon, the Papal States regained the domain and the County of Arrone was enlarged and incorporated several territories in the nearby. This town web page has been visited 42,636 times.